the Greek Numbering System is used. 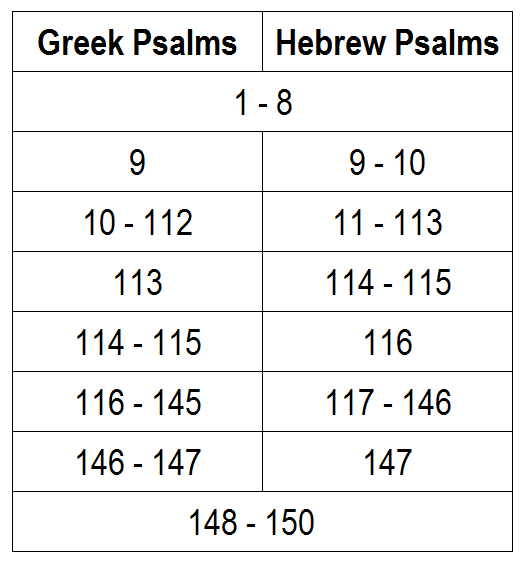 • Catholic official liturgical texts follow the Greek numbering, but modern Catholic translations often use the Hebrew numbering, sometimes adding, in parenthesis, the Greek numbering as well. • in the Syriac Orthodox Church Peshitta tradition there are 155 Psalms.